While off from school for the February break on Friday, Monday and Tuesday, February 15th, 18th and 19th kids in grades kindergarten through 5th are invited to come to Flanders to experience “Amazing Animals” where they will spend time discovering the wonderful world of animals. Centered at the Flanders trail house they will hike the trails and learn how to track animals active in winter. They will also visit the animals that make their home in the Flanders North Barn to search for the eggs that the hens have laid and learn new facts about farmyard animals. These will be fun-filled days packed with exploring the great outdoors, learning about the wonderful world of all types of animals as well as age-appropriate stories, games, and crafts. We will care for them, entertain them and educate them while giving them a fun, memorable day! For a full listing of all the programs for kids and adults coming up at Flanders visit www.flandersnaturecenter.orghttp://www.flandersnaturecenter.org or find more details on their Facebook page. Flanders Nature Center & Land Trust acquires, preserves and manages land; and uses the land to promote understanding and appreciation of nature, art, and the environment. 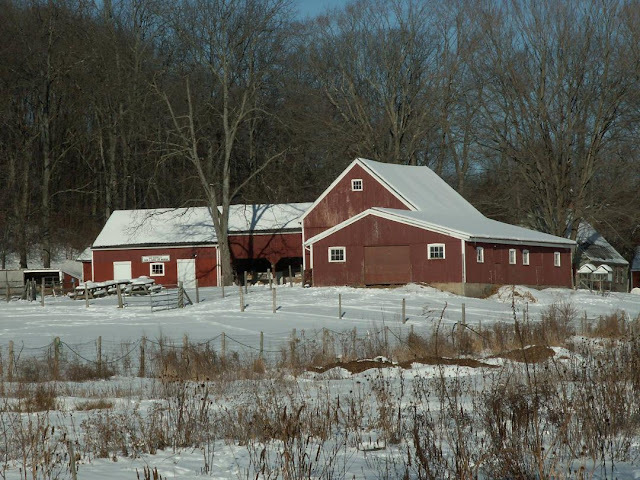 Founded by artist, farmer, and environmentalist Natalie Van Vleck, Flanders provides a variety of environmental education programs year-round, designed to bring a deeper understanding of art, nature and farming to children, youth and adults in the Woodbury region and throughout Connecticut. Savor CT 2019 - Tickets on sale now!